To get Memtest86+, visit their website and download the zipped ISO file. Unzip the download and burn the ISO to a disc using a piece of software like your operating system’s built in one, ImgBurn, or Ashampoo Burning Studio Advanced 2010 . If you prefer a bootable USB, there is a USB installer available for Memtest86+ also. Furthermore, Xboot  supports Memtest86+, so you can use XBoot to create multi-ISO bootable media that includes Memtest86+. Image from Wikipedia . Cleaned up by me. 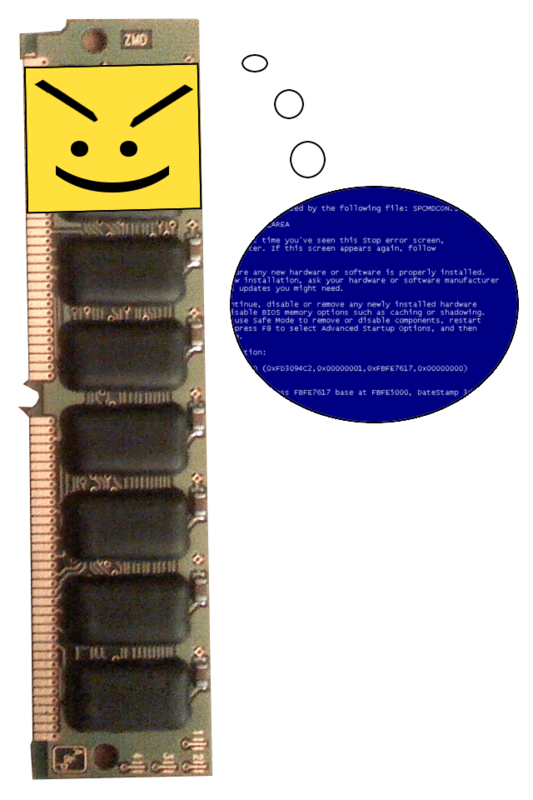 If your RAM failed the test, then the first thing you should do is figure out which stick of RAM is failing. 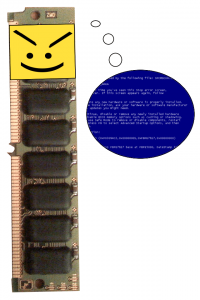 Open your computer and figure out how many sticks of RAM you have. 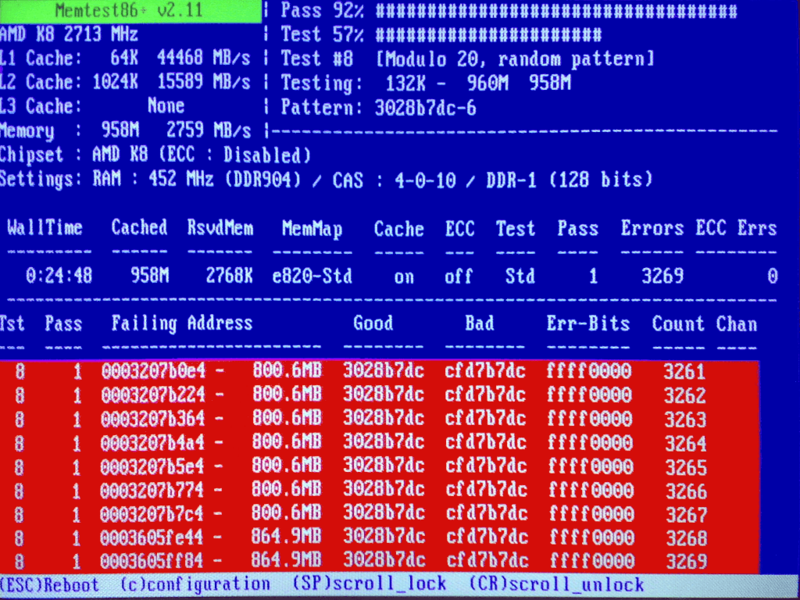 Look for hardware that look similar to following: Laptop RAM  | Desktop RAM . Use a tool like Crucial’s RAM finder service  (assuming you are able to use your computer).